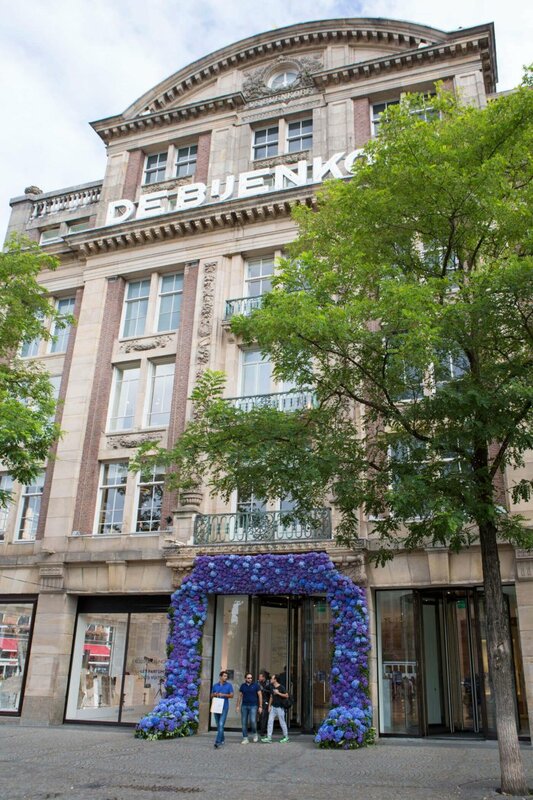 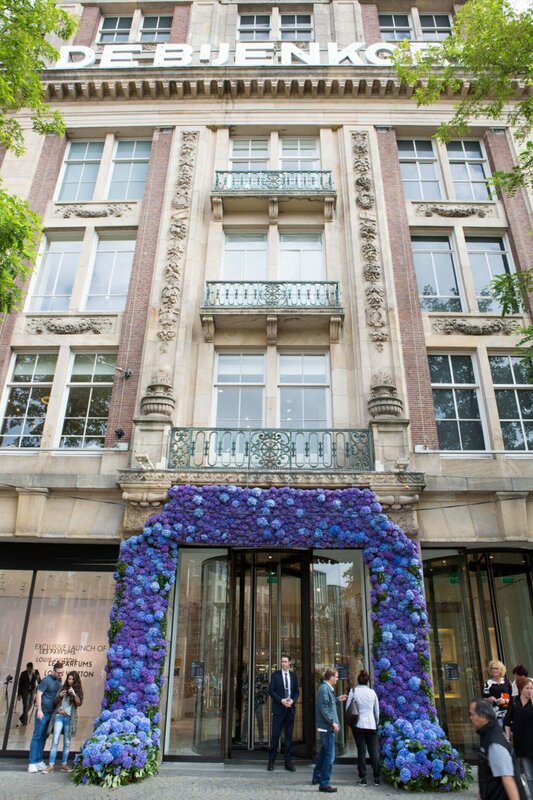 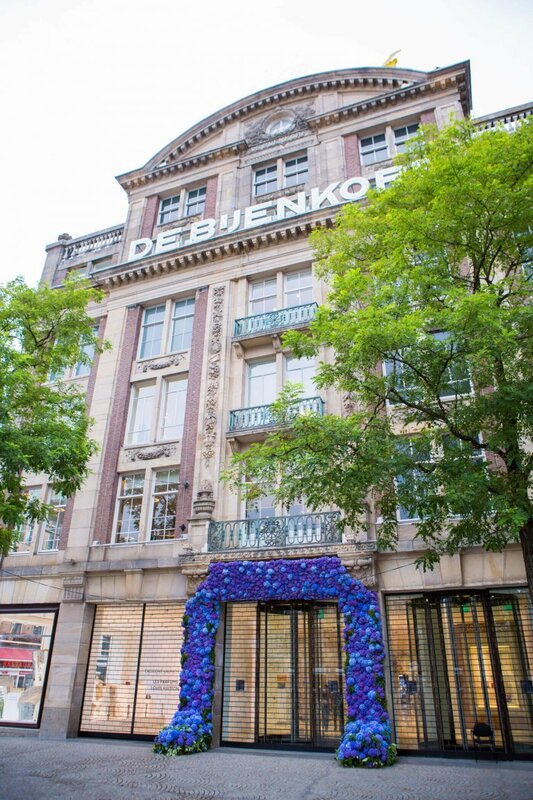 The Wunderkammer created a large floral facade to celebrate De Bijenkorf’s new designer departments in Amsterdam. 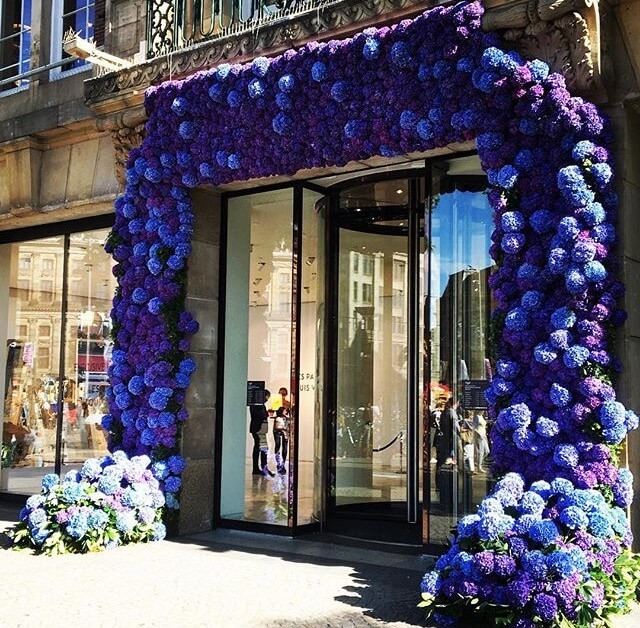 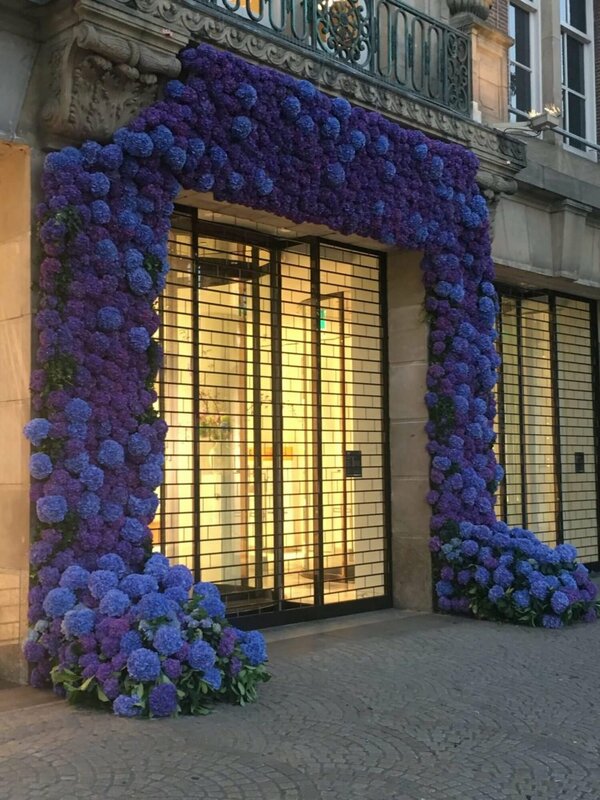 Over 3600 hydrangeas in different hues of purple were used to create the entrance and adornments on the fashion floors. 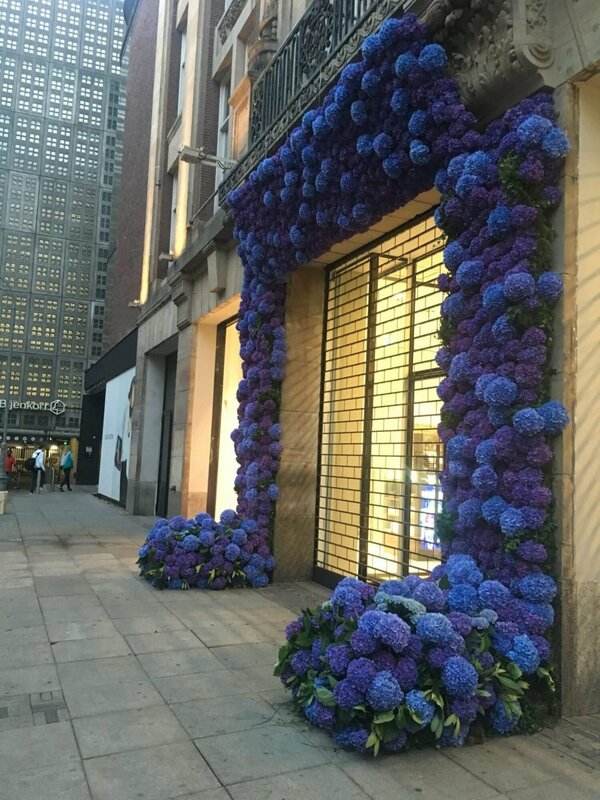 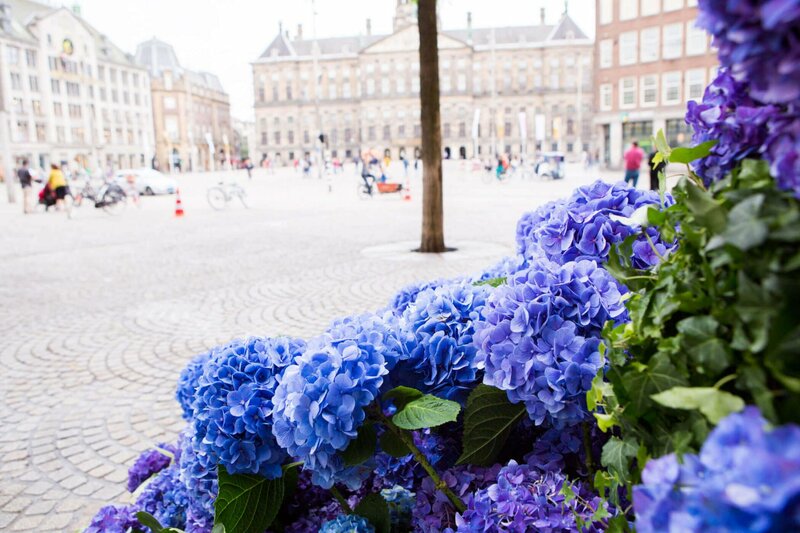 Being the grande dame of flowers the hydrangeas were chosen for this project and gave an extra dimension to the festive Fashion Weekend (September 10 and 11th 2016). 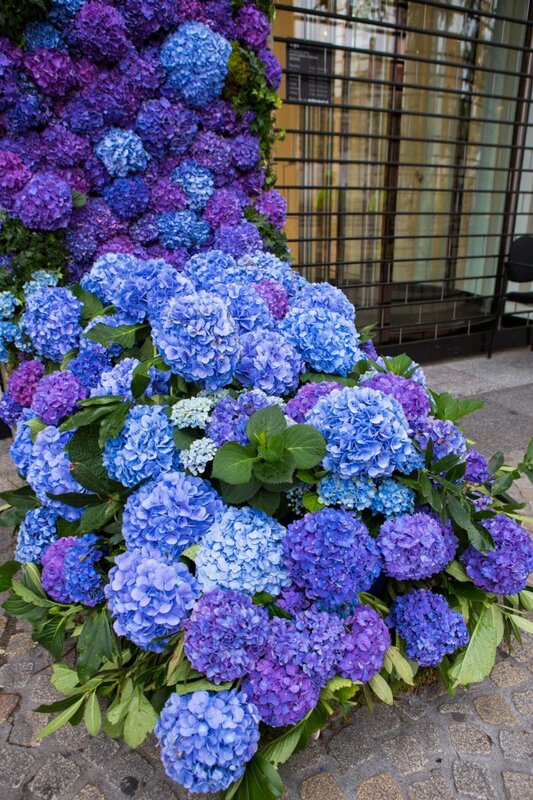 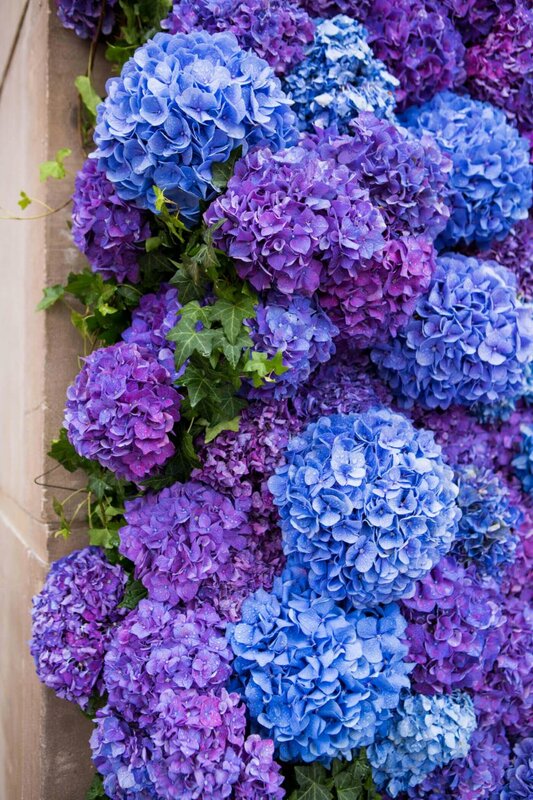 The hydrangea is a true fashionista with its bold colours and luxurious voluminous flowers.